This real estate website came out looking great! Create a custom design using the client's existing logo. Display real estate listing in an organized manner. 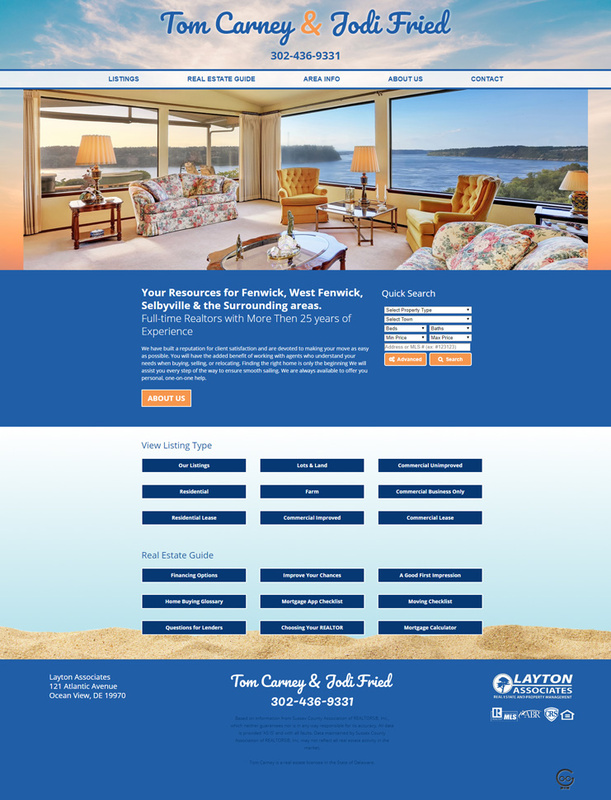 Our designer created an outstanding website using the client's color scheme. The home page easily displays the various real estate options including a custom search bar. The site is easily integrated with the client's chosen real estate management system.